Agassiz G R. Letters and Recollections of Alexander Agassiz. 1913. pp454. $110. American Geographical Society. Joseph.1956. $75. Andrews. The Colonial Background of the American Revolution. 1924. $150. 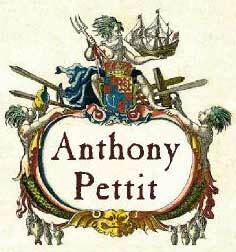 An account of Britain's early policies to all the colonies including Bermuda. pp218. Yale University Press, New Haven. Andrews. The Colonial Period of American History. The Settlements. 1935. 4 vols. Pulitzer prize 1935. $300. 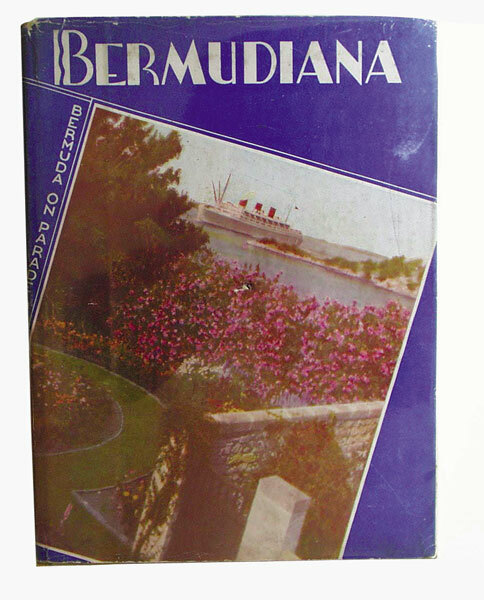 Important resource book on Bermuda. Yale University Press, New Haven. Antiques Magazine. August 1978. pp180. $60. Extensive Bermuda coverage with pictures. Aspen. A History of Bermuda and its Money. 1979. Signed by the author, a presentation copy. pp120. Wm.T Cooke Publishing. Devon, Pa. $120. Aspinall. A Pocket Guide to the West Indies and Bermuda. 1907. pp316. Stanford, London. $125. Baldwin. 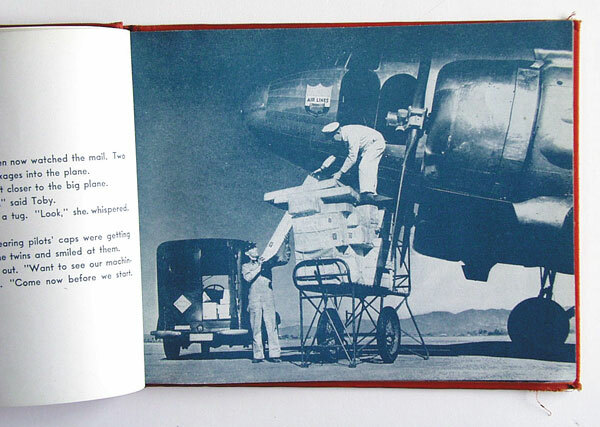 Airmails of Bermuda. 1967. pp32. A philatelic study. F J Field, Sutton Coldfield, England. $75. Baldwin. The Days of Buck and Lynk.1964. pp34. A Tale of Old Bermuda. Signed first edition. Island Press, Bermuda. $80. Bannerman, Jane Campbell. Bermuda as seen by the author. 1976? pp30. A book of sketches. Published probably in Hamilton. $60. Baron. Your Guide to Bermuda. 1965. pp234. Redman, London. $65. Barrows. Let's Fly to Bermuda.1942. pp62. Children's illustrated book. Whitman, Chicago $125. Beebe. Adventuring with Beebe. 1955. pp283. Selections from Beebe's writings. Duell, Sloan and Pearce. N Y $85. Beebe . Arcturus Adventure. 1926. This early work of the author contains a chapter on Bermuda. pp 431. 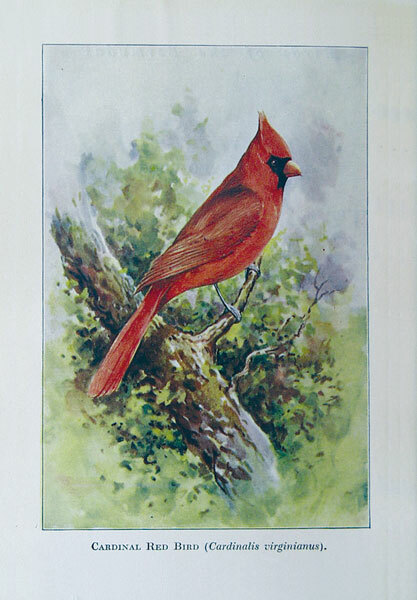 Putnam for the N Y Zoological Soc. N Y. $85. Beebe. Half A Mile Down. German first edition. 1935. pp256. Blockhaus, Leipzig. $125. Beebe. 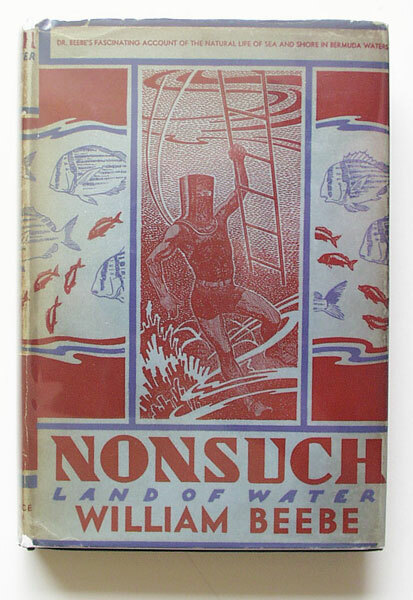 Nonsuch, Land of Water. 1932. pp259. A zoologist's observations in Bermuda with particular stress on birds and fish. $90 - $120.Harcourt Brace, N Y.
Beebe and Tee-Van. Field book of the Shore Fishes of Bermuda. 1933. Beautifully illustrated. pp337. First edition. Putman, N Y $80 - $200various edditions. Bell. Beautiful Bermuda. 1911. Hardback edition of this informative guide book. Full of plans and photographs. pp216. Bell Publishing, N Y and Bermuda. $130. Bell. Beautiful Bermuda. 1947. pp736. The Standard Guide to Bermuda. Much expanded. A fine compilation and a fund of information. Beautiful Bermuda Publishing, N Y and Bermuda. $100. Benbow. Boer Prisoners in Bermuda. 1962. First edition. pp80. Island press, Bermuda. $130. Benbow. Century of Progress. 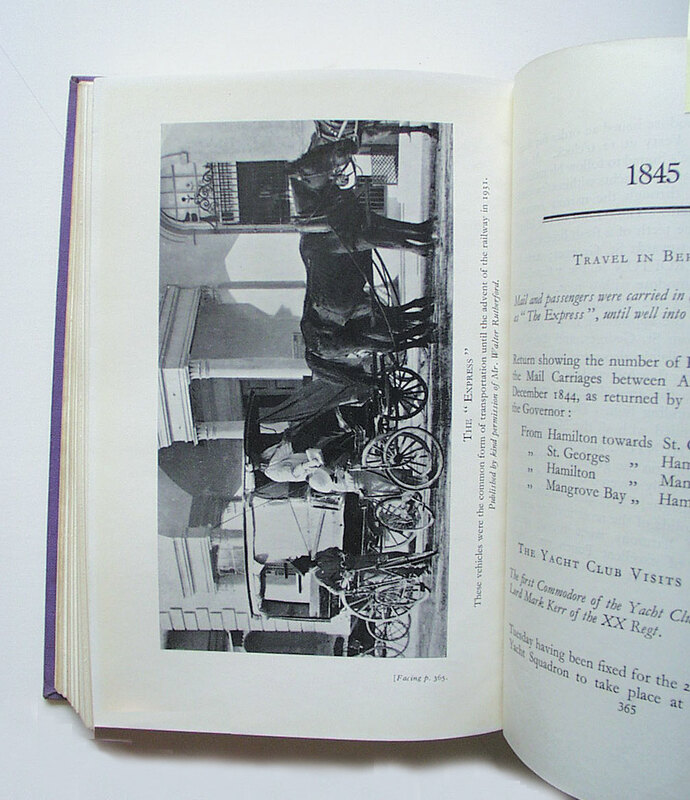 A History of the Bermuda Telephone Co. 1887-1987. pp131. 1987. Island Press, Hamilton. $60. Benjamin N Fathom Five. 1939. pp165. Bermuda novel. Random House, N Y. $80. Benjamin S. Atlantic Islands as Resorts of Health and Pleasure.1878. 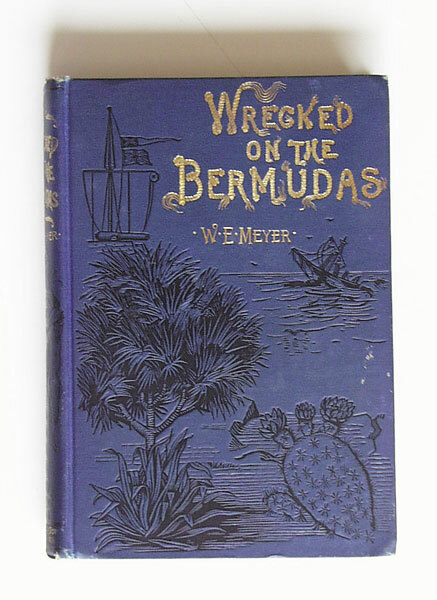 contains informative chapters on Bermuda with original steel engravings. pp274. Harper. N Y $250. Bermuda Book Stores. Peeps at Bermuda. 1946? pp29. Comment and colourful views on the island. BBS, Hamilton. $125. Bermuda Biological Station. Contributions and papers of significance. 1918 - 1919. Vols 4 and 5, Profusely illustrated. Printed in Cambridge, Mass. $350. Bermuda Historical Quarterly. 1944 - 1981. 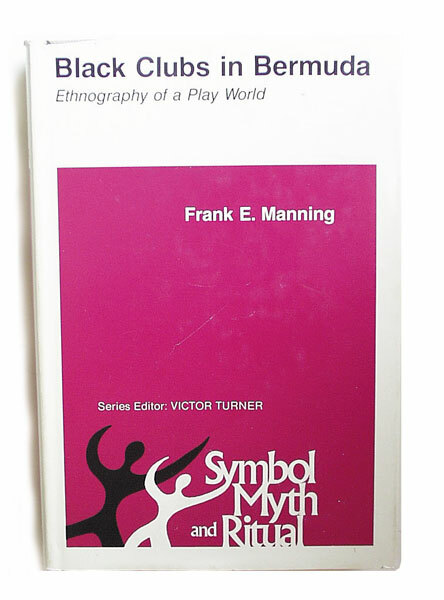 Many back issues of this significant and scholarly pamphlet which was put out usually four times a year. Priced from $25 - $50, depending on rarity. B T D B Bermuda. Nature's Fairyland. 1922. pp32. Fine condition. Golfers illustrated on front cover. $110. B T D B. Now That You're in Bermuda.1939. 73 page booklet dedicated to riders of the Railway. pp76. Large pull out map. $110. Bermudian Magazines. This publication began on 15 February 1930 and proudly continues until the present day. However, earlier editions which contain much of the social history that could be otherwise lost, are quite scarce. Priced from $20 to $50 depending on rarity. Bethell ,Talbot. The Early Settlers of the Bahamas and colonists of North America. 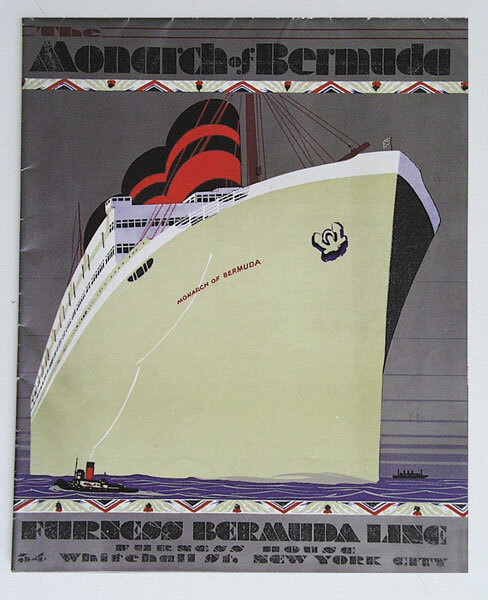 1937. pp 218, published Nassau, Bahamas, printed privately in U.K. Many Bermuda references. $120. Brassey Lady. In the Trades, Tropics and Roaring Forties.1885. pp532. Well illustrated with maps and engravings of views. Longmans Green, London. $300 - $400. Britton. 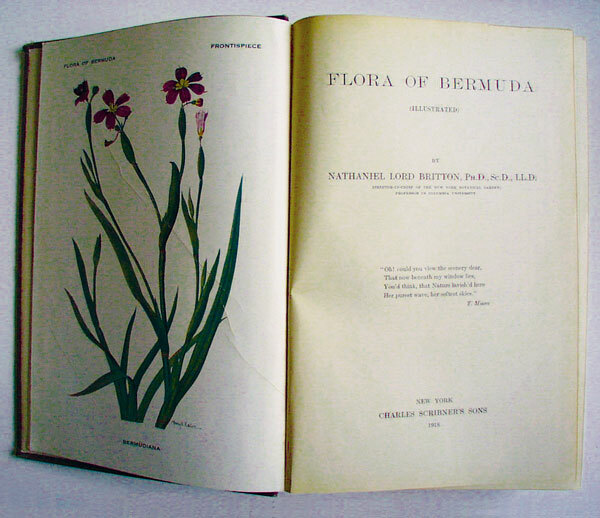 Flora of Bermuda.1918. pp585. 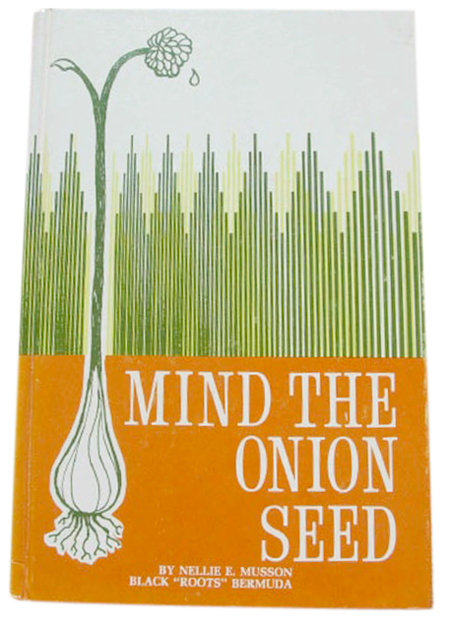 First edition of this classic on the subject. Finely illustrated. Scribners, N Y. $750. Brookes.Bass Bug Fishing and Bermuda Fishing. 1992. No 2594 of a limited edition of only 3000. Premier Press, U S A. pp164. $60. Brookes. Bermuda Fishing. 1957. 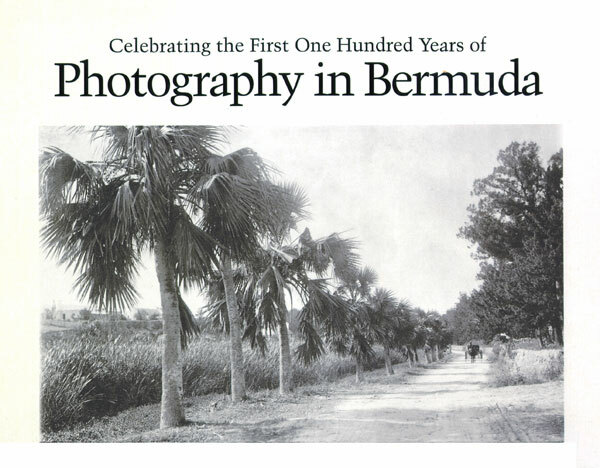 Includes photographs of well known Bermudians, pp161. Stackpole, Pa. $110. Brookes. Complete Guide to Fishing across North America. 1966. pp613. Bermuda is covered in this work.. Harper and Row. N Y $100 - $130. Brooks, Richard. Bermuda Landmarks.C1965. A set of four colour prints in original folder. 42x30cms. $100. Burland B. (compiler). 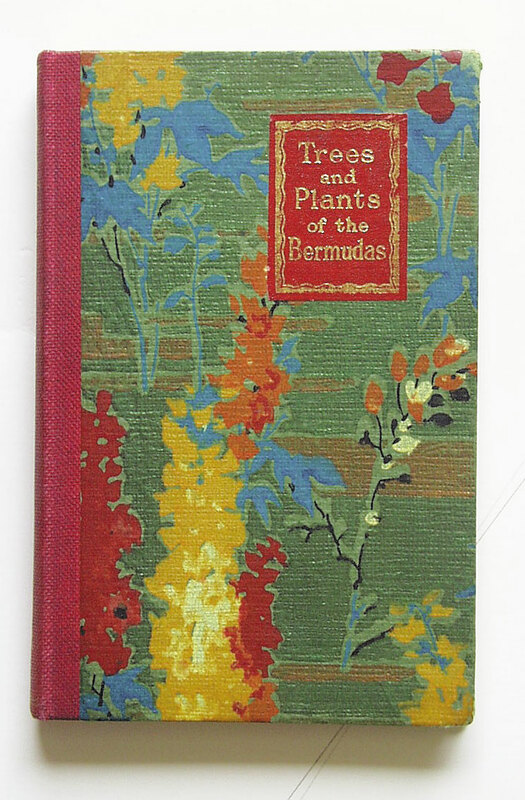 Medical Plants and Old Time Remedies of Bermuda.1965. pp35. 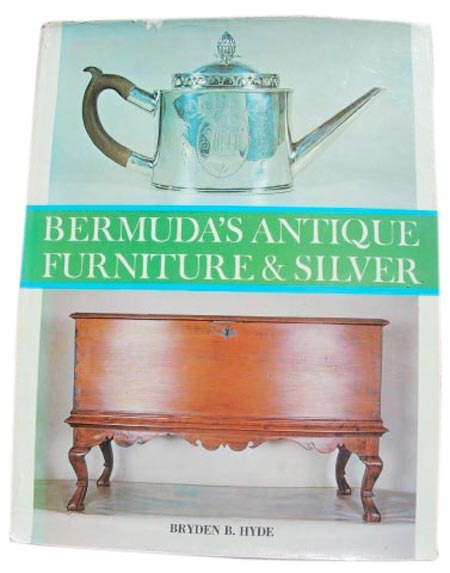 Bermuda Historical Soc. $85. Burland Brian. A Few Flowers for St George. 1969. Bermuda novel. Barrie and Rockliffe, London. $75. Burland. Love is a Durable Fire. 1986. pp558. Bermuda novel. Dj. Granada, London. $75. Burnham. Last Act in Bermuda.1940. pp244. Bermuda Mystery. Scribner's Sons. N Y $75. Bushell. A Little Story about Bermuda written for those who desire a brief and accurate narrative. C1926. pp48. Bermuda Furnishing and Supply Co. $105. Bushell. Picturesque Bermuda.1931. An excellent guide book. Three large scale road maps. pp184. Bushell's Handbook Publ. Bermuda. $110. Bushell. Picturesque Bermuda. 1939. The last issue of this publication. pp200. Printed by Maclehose, Glasgow. $100. Butland. Letters from Grenfell. 1971. Bermudian Penistons mine for gold in Australia in the 1870s. pp125. Sydney University Press, Australia. $85. Butterfield H C . Butterfields Bank - Five Generations in Bermuda.1958. pp112. BBS Hamilton. $110. Carse. Blockade. The Civil War at Sea. 1958. pp280. Much about Bermuda. Rinehart. N Y. $85. Chaplin J. Duncan Dunbar. 1865. Dunbar was shipwrecked in Bermuda in 1821. pp312. Sheldon and Co. N Y $300. Cherry. Yankee RN. 1951. An American who became an officer in the Royal Navy and was largely based in Bermuda during the Second World War. pp544. Jarrolds, London. $130. Chittenden. Bermuda Verses. 1909. pp68. First edition. Fine condition. Full of photographs. Putman, London and N Y. $175. Cockloft. Cursory Observations made in Quebec in the year 1811. pp32. Printed in Bermuda by Edward Ward, Printer to the King. Reprint 1960. Mortimer, Ottawa. $75. Cochran. Blockade Runners of the Confederacy. 1958. pp350. Much about Bermuda. Bobbs-Merrill, Indianapolis. $85. Coles. North Atlantic. 1951. The Transatlantic Race to Bermuda in 1950. pp191. Robert Ross, London. $90. Cooper. Winslow Homer Watercolours. 1986. pp259. Homer painted in Bermuda 1899 - 1900. Yale Univ. Press. New Haven. $70. Costain. The Tontine. 1955. Two vols. Historical novel with Bermuda involvement. pp465. Doubleday, Garden City, N Y $70. Cox. Bermuda's Beginnings. 1959. A booklet for young people on the Island's physical make up. pp24. Tinling, London. $70. Crayshaw. A Plaine Description of the Bermudas. 1613. 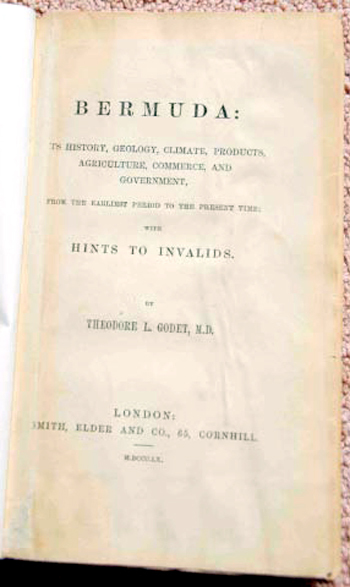 Revised 1877. pp51. Only the second book written about the islands. Whittingham, London. $275. Curtis. 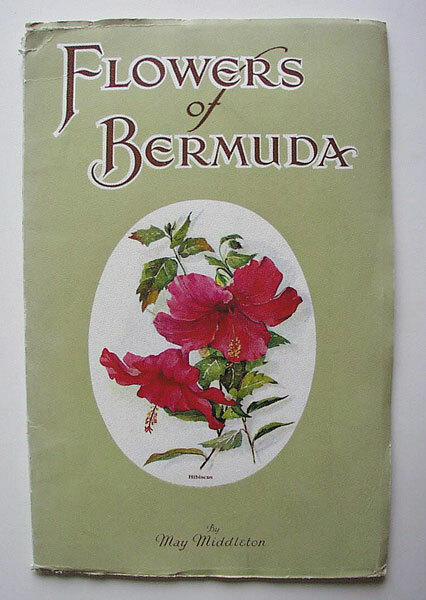 Bermuda - A Floral Sampler.1978. pp52. Over 57 illustrations. Bermuda Press, Hamilton. $65. Dana J. Corals and Coral Islands.1872. pp388. 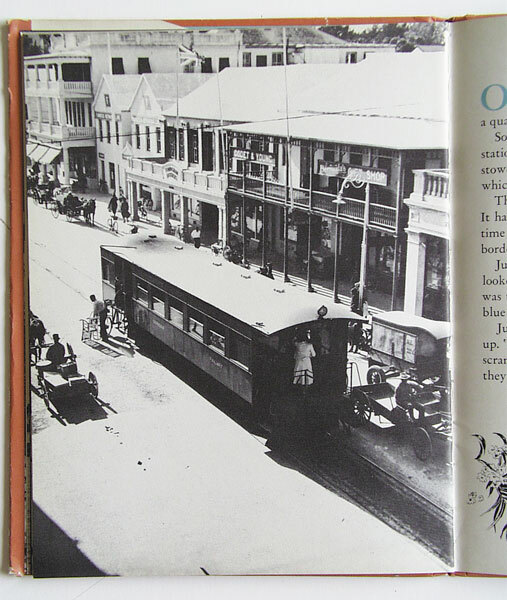 Much about Bermuda's structure, well illustrated with coloured lithographs. Dodd and Mead, N Y $350. Dawson. Isles of the Sea. 1886. World travel book with a chapter on Bermuda. pp698. Betts and Co, Hartford, Conn. $200. Dorr. Bermuda - An Idyl of the Summer Islands. 1884. pp148. All editions $150. Scribners, N Y.
Dubois. The Case of the Frightened Fish. 1940. pp276. Bermuda novel. Ex lib. Little, Brown . Boston. $75. Early. Ports in the Sun. 1937. A guide to Bermuda and the Caribbean. pp316. Houghton Mifflin, Boston. $75. Fiske. Old Virginia and her Neighbours. 1897. Two vols. Includes the early history of Bermuda. Houghton Mifflin, Boston. $250. Forsstrand Carl W Bland Oleandrar och Liljor No 129 of a limited edition of 160 numbered copies published in Stockholm, Sweden. 1895 pp 126 15 plates.The author was a biologist who visited Bermuda. His original photographs are very fine. Rare. $450. Frascati Hotel. C1920. Attractive 20 page advertising booklet fully illustrated with map. $70. 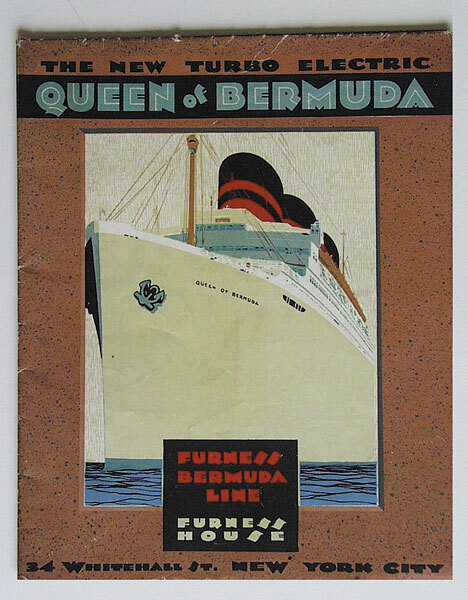 Furness Bermuda Line. Monarch of Bermuda. 1930s. Very large set of deck plans. Full colour. Art Deco style. Suitable for framing. $120. Furness Bermuda Line. Queen of Bermuda. Similar to the above but with different colour scheme. $120. Garrard. Banana Tree House. 1938. pp107. 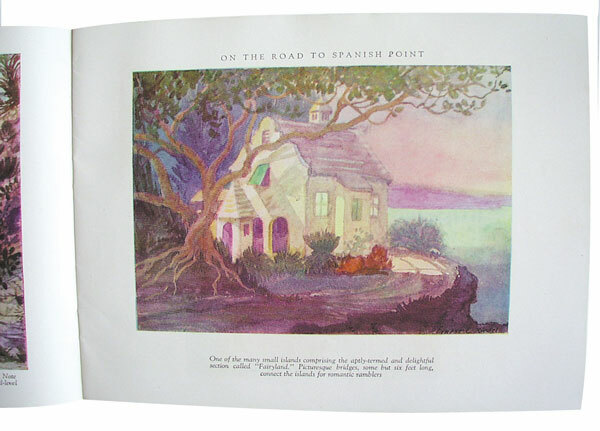 Illustrated Bermuda children's book. Harrap. London. $130. Garrard. Jenny's Secret Island.1943. pp277. 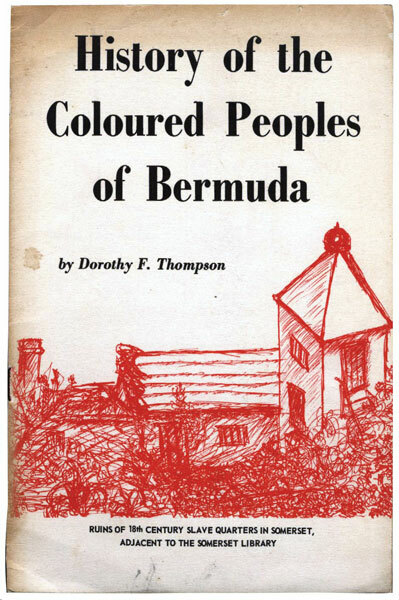 Illustrated Bermuda children's book. Dj. John C Winston Co Philadelphia. $110. Garrard and Williamson. Bermuda Ballards. C1960. pp24. Bermuda poetry imprint. Well bound. Bermuda Press, Hamilton. $70. Garth. Bermuda Calling.1942. Bermuda wartime novel. pp197. Putman. N Y. $80. Gibbings. Blue Angels and Whales. 1946. pp117. Personal experiences in Bermuda and elsewhere. J M Dent, London. $75. Graham. Rough Passage. 1936. pp236. Single handed yacht racing to Bermuda among other places. $75. Gray B. A Bermuda Garden of Song.1927. pp148. Well illustrated. Signed by the author. Marshall Jones, Boston. $275. Gray E. Bermuda in a Nutshell.1954? An amusing perception by a visitor. pp58. BBS Hamilton. $75. Gray M E. A Brief History of Bermuda, (1503-1973). pp29. 1976. Hamilton Press. $60. Greenberg. The Shopping Guide to Bermuda (and other places). 1955. pp203. Hardback. Dj. Tradewinds Press. N Y. $80. Greig. Fearful Paradise.1952. Bermuda novel. First edition. Dj. pp242. Random House, N Y $80. Griffith. Bermuda Troubadours. 1935. pp93. An anthology of poets down the ages with illustrations. Kendall and Sharp. $80. Hallett. Bermuda in Print.1985. 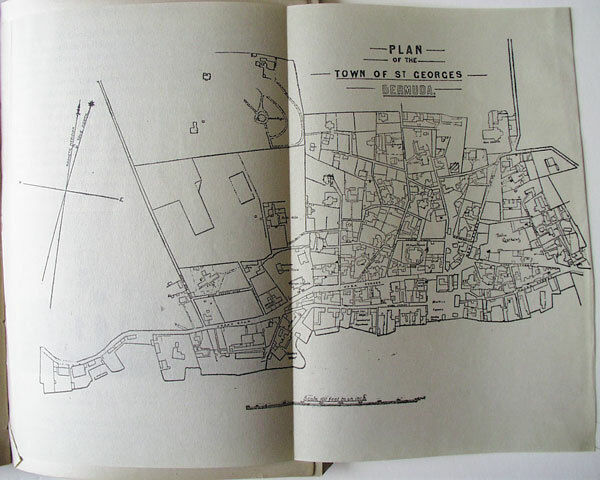 A guide to the printed literature on Bermuda. pp212. First edition. Island Press. Hamilton. $100. Hart, John D. Sailing Bermuda Waters. 1970s. A set of colour prints in original folder. 40x33cms. $100. Hayward S and others. Bermuda's Delicate Balance.1981. pp402. The bible of the island's environment. Bermuda National Trust. Hamilton . $60 - $80. Hayward W. Bermuda Past and Present. 1910. pp239. All edition. $100. Dodd and Mead, N Y.
Herrington's Gift Shop. Bermuda, an Island Paradise. (With description and map). pp38. A book of views. C1920. $80. Herrington Norman (ed). Bermuda, Fairy Islands of the Atlantic. (With description and map). C1928. pp32. Published by Herrington Co. Hamilton, Bermuda. 21x26cms. $110. Heyl Edith. Bermuda Through the Camera of James B Heyl. 1951. !500 copies only. Numbered item. First and only edition. Bermuda Book Stores, Hamilton. pp240. $1,100 - $1,700. Historical Monuments Trust. The Journal of Richard Norwood.1945. pp163. Dj. Scholers Facsimiles N Y for B H M T $325. Holding. Strange Crime in Bermuda. 1937. pp256. Bermuda novel. Dodd and Mead, N Y. $110. Holiday Magazine. April 1947. Features profiles of several local families with full page illustrations. (Missing back cover, otherwise fine). $100. Holiday Magazine.June 1958. Has an article on Bermuda rugby. $60. View Humphreys. Bermuda Houses. 1923. pp317. First edition of this quite exceptional book about the island's architecture. The number printed is not known , but it cannot have exceeded five hundred since the work was basically a university thesis. Marshall Jones, Boston. $700 - $900. Jones, Francis John. Trivial Occurrences on board Sloop 'Chance.'. 1932. Preface by Lloyd Peniston Jones of Paget Hall, Bermuda. $75. View Jorr. Bermuda Vacation.1941. pp38. McKay, Philadelphia. $105. Jourdain. A Discovery of the Barmudas.1940. pp24. Scholars Facsimiles, N Y. $110. Kennedy. Sister Jean. Biography of a Colonial Town. 1962. Hamilton, Bermuda. (1790 - 1897). pp400. BBS, Hamilton. $80. Kennedy. Sister Jean. Bermuda Hodge Podge.1975. pp147. A bed time book containing amusing and interesting scenes in Bermuda. $70. Kennedy, Sister Jean. Bermuda's Sailors of Fortune. 1963.The experiences of Bermudians in the French Revolution. pp155. Bermuda Press, Hamilton. $85 - $100. Kennedy. Sister Jean. Frith of Bermuda - Gentleman Privateer.1964. pp275. BBS Hamilton. $110. Kennedy. Sister Jean. Isle of Devils.1971. Bermuda under the Somers Isle Company (1606-1685). pp288. Baxters/Collins, Hamilton. $80. Kerr. Bermuda and the American Revolution.1936. pp142. University Press, Princeton, New Jersey. $125. Kron. Ten Thousand Miles on a Bicycle. 1887. pp799. Bermuda figures in this huge trek. Karl Kron. N Y $200. Lancaster and Brentano. Bride of a Thousand Cedars. 1939. pp344. Bermuda novel in the Civil War. Stokes and Co. N Y $75 - $95. Lefroy. Major General J.H. Memorials of the Bermudas.1932. (Revised and expanded version with additions by Dr Henry Wilkinson). Bermuda Government Library. $650. Lefroy. Major General J.H. Norwood's Survey of 1662-3. pp89. 1879. The original strips of land in Bermuda were sold like fluctuating shares on a stock exchange. London. $120. Life Magazines 1930-65. During this period there were a number of very interesting articles about Bermuda. $50 each relevant publication. Livingston. A Million Years on Mount Bermuda.C1935. pp36. BBS Hamilton. An account for the layman of Bermuda's geology and the history of its formation. $75. Lawrence, Mass: Quarterman. A revision of Ludington's 1962 publication, incorporating a supplement and extensive new material. Lusher. N E Bermuda, An Ocean Paradise.1907? Thirty attractive representations by this renowned photographer. $105. McCallan. 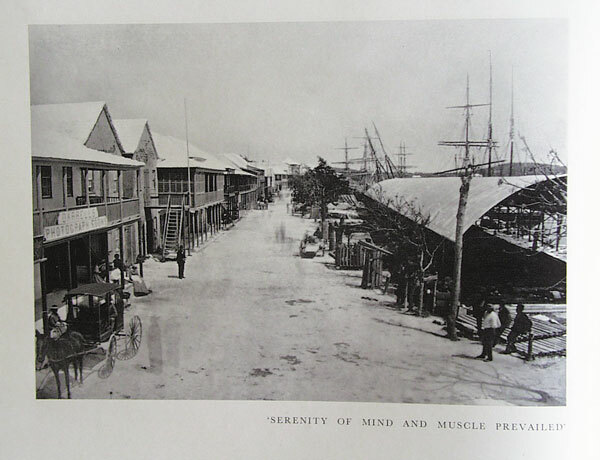 Life in Old St David’s, Bermuda. Second edition, Hamilton. Bermuda Historical Society. 1986 pp258. $120. MacKay. The Ten Islands and Ireland. 1919. Good chapter on Bermuda and Tom Moore in this travel book. pp352. Maunsel & Co. Dublin and London. $210. View Manning. Bermuda in Transition.1978. pp231. Race and elections in Bermuda. Island Press Ltd Hamilton. $90. Manning. Black Clubs in Bermuda. 1973. pp277. Cornell University Press. N Y $110. Map Circle.No 19 of the series called Printed Maps of Bermuda. 1965. pp19. 24plates. London. Map Collectors' Circle. $260. 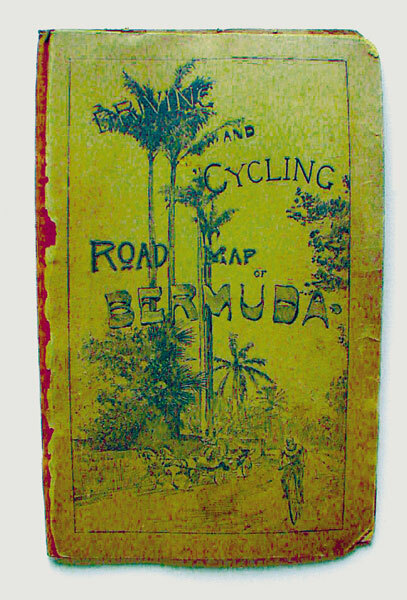 View Map - Driving and Cycling road map of Bermuda in booklet stamped Hamilton Hotel, Bermuda Jan 24th 1894. $200. March. Bermuda Days.1929. pp157. Impressions of Bermuda as recorded by a visitor and resident. Revell. N Y $90. Mason. F Van Wyck. Armoured Giants.1980. pp339. Bermuda is part of this historical novel. Little, Brown. Boston. $75. Mason. F Van Wyck. The Castle Island Case. 1937. Bermuda mystery with recognizable local characters. pp197. Reynal and Hitchcock. N Y $150. Mason F Van Wyck. The Gracious Lily Affair. 1957. Bermuda novel. pp288. Doubleday. N Y $65 - $85. Mason F Van Wyck. The Sea 'Venture.1961. pp278. Bermuda historical novel. Doubleday. Garden City, N Y. $85. Mason F Van Wyck.A large variety of other works by this renowned author, all competitively priced. McCallan. Life in Old St David's.1948. pp258. First edition . Wonderful description of isolated existence at Bermuda's East End. Historical Monuments Trust. $500. Mentor Magazine. Bermuda Ways and Byways. November 1923. pp63. 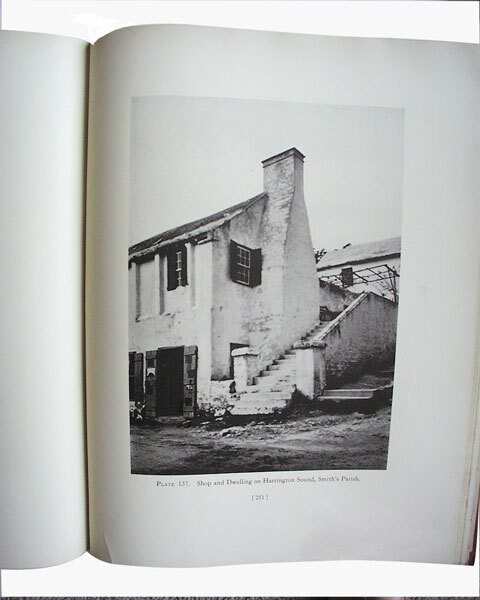 Illustrated in sepia photographs taken by Sherrill Schell with accompanying text. $110. View Meyer. Wrecked on the Bermudas. 1892. Bermuda novel. pp292. Freeman, Providence. R I. $130. View Middleton. 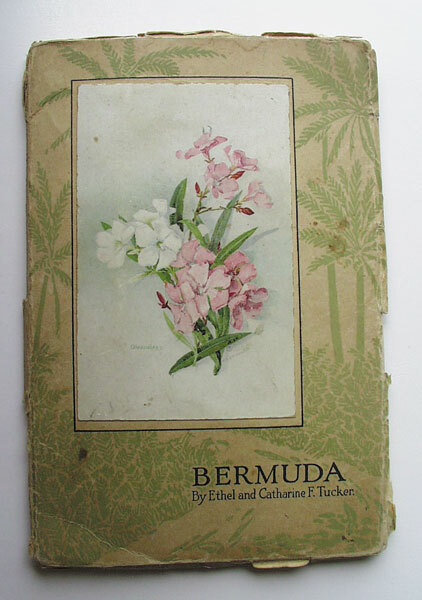 Flowers of Bermuda.1927? pp18. E &C Tucker. Hamilton. $70. Mitchel, John. Jail Journal or Five Years in British Prisons. Mitchel, an Irish patriot and agitator, spent much time in the convict hulks in Dockyard, Bermuda. Illustrated. pp463. 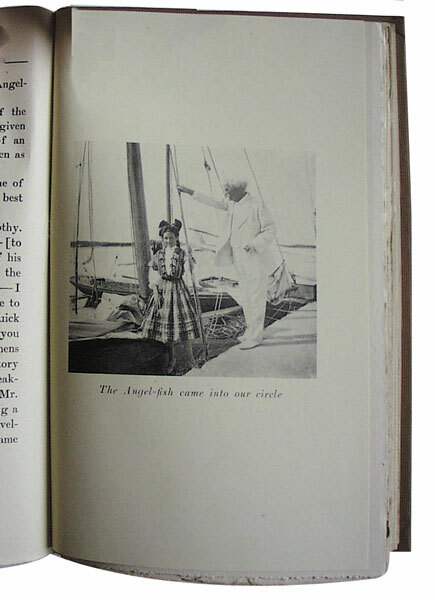 There are two copies, both published by M H Gill and Sons of Dublin. All edtions $210. Murray. British America. 1839. Two vols. Bermuda is the subject of part of the story. Oliver & Boyd. Edinburgh. $325. National Geographics. Beginning in 1922 and from then on in various issues up to 1978, facets of the Bermudian experience receive thorough discussion. The relevant magazines are for sale from $40-$70 depending on scarcity. Nielsen. Bermuda Sea Shells. An illustrated guide. C1960. pp24. Mid Ocean News, Hamilton. $70. Packwood. Chained on the Rock. 1975. 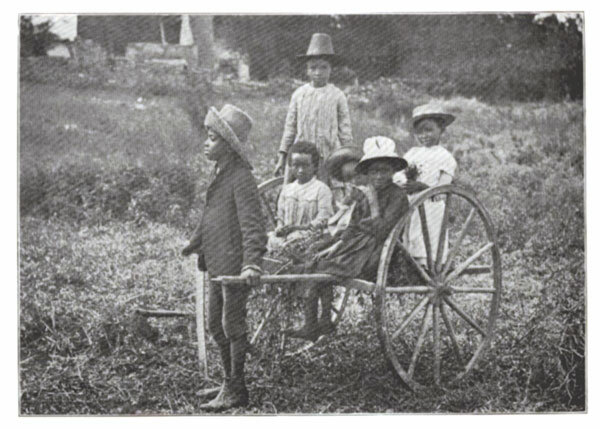 Slavery in Bermuda. pp226. First edition. Torres, N Y and Baxters, Hamilton. $90 - $110. Palmer. The Printed Maps of Bermuda. 1974? pp26. 32plates. Hardback limited edition of 500 copies. Map Collectors' Circle. London. $110. Patrick. Return to the Scene. Bermuda mystery. 1944. pp305. N Y Books Inc. $100. Pearman. Look Seaward. Bermuda. 1938. pp62. Sensitive local poetry. Harrison. N Y $80. Phillips. First One Thousand Miles. 1992. pp242. Bermudian enterprise and the Bank of Bermuda. Granta Editions. London. $75. The Prince of Wales. Voyage of HMS Bacchante. 1886. The letters and journals of Prince Albert Victor and the Prince of Wales. Two vols. Chapter on Bermuda. MacMillan &Co. London. $375. Raine. Architecture - Bermuda Style. 1966. pp84. A short survey of architecture in the Bermudas. Longtail Publishing Co. $80. Redman. Isles of Summer Seas. 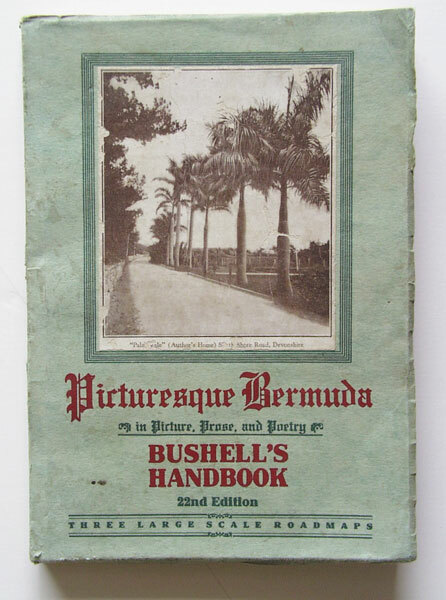 (Beautiful Bermuda).1913. pp242. Dillingham. N Y $130. View Riedel. 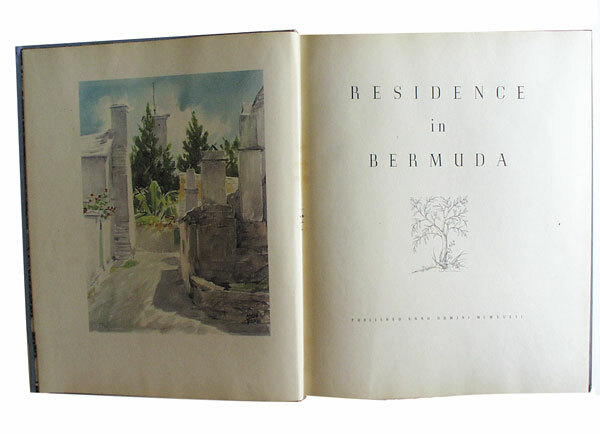 A Pictorial Trip to Bermuda, painted and described by Ernest Riedel for the Furness Bermuda Line. C1928. $80. Rider's Bermuda. A guide for travelers. 1924. pp248. Large format. 18cms. Henry Holt N Y $120. Rider's Bermuda. A guide for travelers. 1922. pp158. Smaller format. 16cms. $100. Roberts K. Henry Gross and his Dowsing Rod. 1951. pp310. The story of the search for fresh water in Bermuda is included in this study. Doubleday N Y $90. Robinson. Bill Islands. 1985. pp228. An account of sea travel including Bermuda. Dodd & Mead. N Y $55. Rollins. From Palm to Glacier. 1892. pp145. A chapter on Bermuda in this story of extremes. $125. Runyon and Bergane. Around the world in 1000 pictures.1954. Bermuda is featured in twenty three black and white photographs. Doubleday & Co. Garden City. N Y $80. Scollard. Under Summer Skies. 1892. pp290. Travel book with a large Bermuda section. Webster. N Y $160. Scott. To the West Indies and Back. One Hundred Days.1908. pp109. The author came to our island on his big trek as a Church of Scotland minister. Privately printed. $110. Singleton, Esther (ed). Historical Landmarks of America. 1909. pp305. Chapter on Bermuda. Dodd & Mead N Y. $70. Smith Hosay. A History of the Turks and Caicos Islands. 1963. pp77. These islands were colonized by Bermudians in 1678. Bermuda held them for 100 years. Published in Hamilton for the author. $110. Smith, John. The General History of Virginia, New England and the Summer Isles. 1907. Two vols. Maclehose, Glasgow. $350. View Smith, Louisa Hutchings. Bermuda's Oldest Inhabitants.1934. pp70. $90 - $130. Salmon, Sevenoaks. Kent. Smith Mina. Mary Paget.1900. pp326. Bermuda novel. MacMillan. N Y $175. Spry. The Cruise of the Challenger. 1876. pp388. The Challenger Expedition came to Bermuda fairly early on. Sampson, Lowe. London. $225. 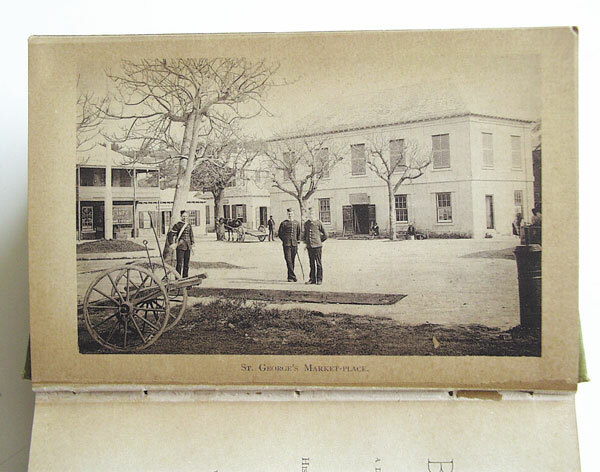 View Stark's Illustrated Bermuda Guide. 1884. pp153. 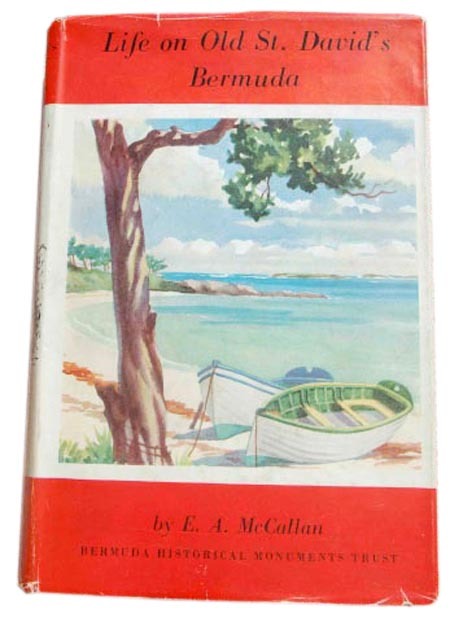 The scarce first edition of this elegant guidebook to the island. S Nelmes, Hamilton. $250. Stark's Bermuda Guide. 1902. A later edition with different information and advertisements. pp153. Stark. Boston. $150. Stereo Cards. 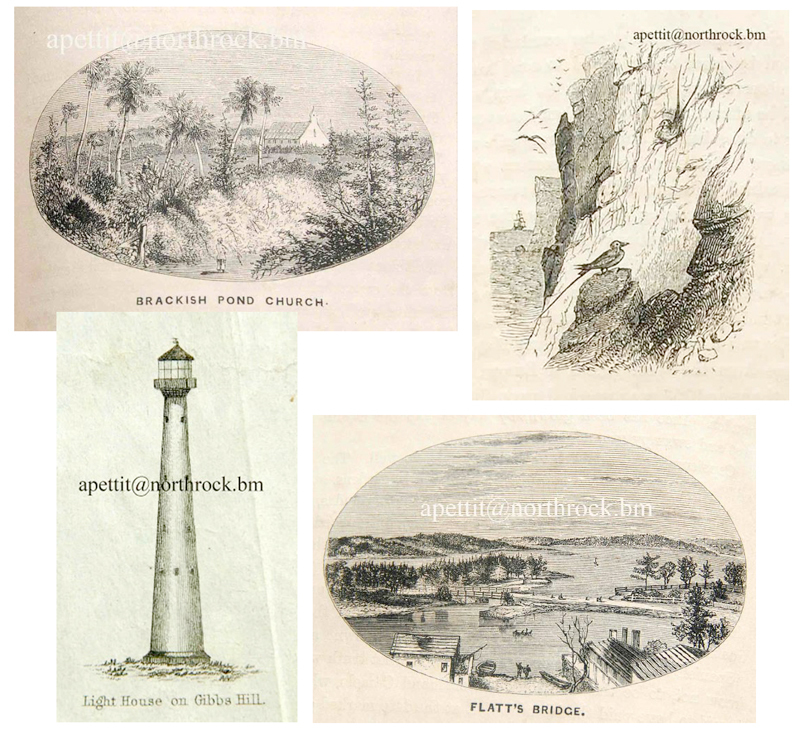 A collection of Bermuda views from the nineteenth century. $40 each. Stranack. The Andrew and the Onion. 1977. The story of the Royal Navy in Bermuda. 1795-1975. pp155. First edition. Island Printing. Hamilton. $85. Strode. The Story of Bermuda. (With photographs by Walter Rutherford). 1932. pp374. Harrison Smith N Y $70 - $120. Swain. Foolish Fire.1929. pp299. Bermuda novel. Fair condition only. Ex lib. Grosset & Dunlop. N Y $75. Tooley. Maps and Map Makers.1990. pp140. The author, a noted authority, comments on Bermuda in a landmark work on cartography. Dj. Dorset Press, England. $70. View Trade Development Board. Residence in Bermuda.1936. Two Thousand copies only. Numbered item. pp94. 38.5cms With watercolours by Adolf Treidler and photographs by a variety of contemporary artists. Printed by Stern, Philadelphia for the board. $650 - $750. Treidler, Adolph. Color Prints of Bermuda. A set of six in original folder from the Bermuda Color Print Co of Hamilton. 36 x 44cms. Treidler who made his name as a watercolorist and creator of posters must never be underestimated for his great work for Bermuda tourism before and after the Second World War. $110. Trollope. The West Indies and the Spanish Main.1859. pp395. The author toured the West Indies and Bermuda in 1858-9 as an official of the Post Office of London. This is regarded as one of the best travel books in the English genre, and Trollope himself regarded it highly. Chapman and Hall. London. $375. Tucker. Canon Arthur. 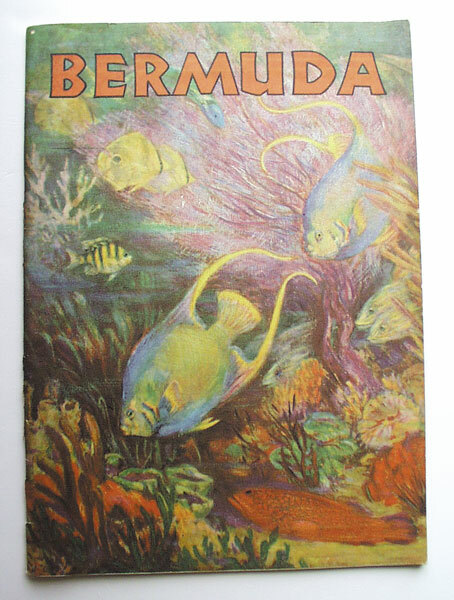 Early History of Bermuda for Children.1937. pp110. BBS Hamilton. $100. View Tucker, E & C. Glimpses of Bermuda. c1930. pp18 Salmon, Sevenoaks. Kent. $75. Tucker. Terry. Bermuda, Today and Yesterday. (1503-1973). pp208. 1975. Baxters. Hamilton. $60 - $80. Tucker Terry.The Islands of Bermuda. 1979. pp138. Information about each of the three hundred and sixty five islands. Island Press Ltd. $80. Tucker Terry. What's Become of Anna? 1972. pp207. An account in the form of a novel of the Skeeters Murder Case of 1878. $85. Turnbull. Grace H . Chips from my Chisel. 1953. An autobiography. pp256. Richard Smith. Rindge, N H This sculptor describes a stay in Bermuda in 1920 which sets her on her feet as an artist after she suffered the rigours of nursing the soldiers in the trenches in the Great War. $130. Tweedy. Bermuda Holiday.1950. pp162. Small but informative travel book. Crown. N Y $45 - $65. Vandiver. Confederate Blockade Running Through Bermuda. 1947. pp155. University of Texas Press, Austin. $190. Voegeli, Michael. Yachtsman's Guide to the Bermuda Islands. 1977. pp162. Island Press Ltd. Hamilton $60. Wallace A. Island Life. 1880. Contains an account of the geology of Bermuda, and has some very lovely coloured lithographs. pp526. Macmillan. London $300. View Wallace E. Mark Twain and the Happy Island. 1913. pp139. Illustrated with photographs.McClug, Chicago. $250. There are also two very special examples of this book , all editions $350. Wardman (ed). The Bermuda Jubilee Garden.1971. pp349. 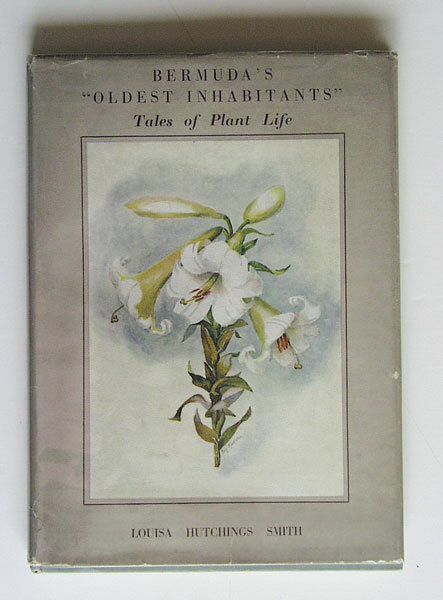 Contains sixteen chapters by local horticulturalists. Garden Club of Bermuda. Hamilton. $75. Watson, Oliver and Foggo. A Geography of Bermuda. 1965. pp128. Was used as a school text for a considerable length of time. Collins. London and Glasgow. $75. Weatherill. Faces of Bermuda.1985. Only 1500 copies of this book were published by this gifted photographer. Many of the subjects are well known. pp136. Wylye Head. $150. Weiss, William. Panorama of the City of Hamilton. C1907. 45x16cms. Taken from Harbour Road.This spectacular mounted photograph has been hand coloured by the artist. Dee Illustration $120. Wells. B Old Bermuda. A collection of photographs taken in the 1890s. pp52. 1979. Published by B&C Wells. Hamilton. $110. Wells C. Adventure! 1931. Wells visited Bermuda to explore his father's roots. pp338. Day Co. New York. $80. Wells C. Bermuda in Three Colors.1935. pp271. The author was a professional travel writer making both books and films, and giving illustrated lectures. $80 - $100. Whitney. The Bermuda Garden.1955. pp234. Well illustrated. Garden Club of Bermuda. Hamilton. $110. View Wilkinson. Dr Henry. 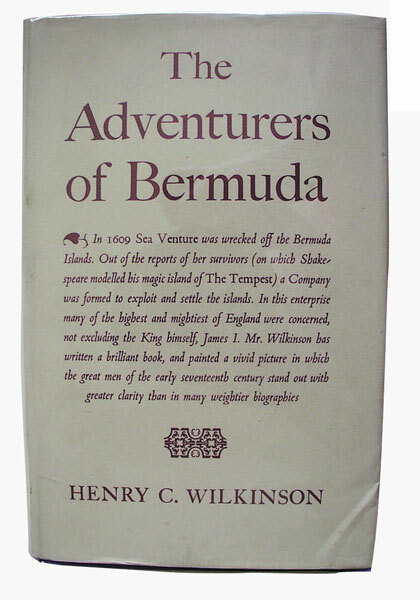 The Adventurers of Bermuda. 1933. First edition. pp336. A history of the Island from its discovery until the Dissolution of the Somers Island Company in 1684. Map in pocket. London and Oxford University Press. $130 - $160. Wilkinson. Dr Henry. The Adventurers of Bermuda. 1958. pp421. The Second Edition was considerably rewritten. Map in pocket. London and Oxford University Press. $110 - $140. Wilkinson. Dr Henry. Bermuda in the Old Empire.1950. pp457. A history of the Island from the Dissolution of the Somers Island Company until the end of the American Revolution. 1684-1784. Well illustrated. London and Oxford University Press. $240 - $275. Wilkinson. Dr Henry. Bermuda from Sail to Steam. The history of the Island from 1784-1901. pp951. 1973. Two vols. London and Oxford University Press, $280 - $350. Wilkinson John. The Narrative of a Blockade Runner. pp252. Sheldon and Company.1877. reprinted 1984. Much on Bermuda. $80. Willock. Bulwark of Empire. Bermuda's Fortified Naval Base 1860-1920. pp151. 1962. Princeton, New Jersey. $210. Williams R J Bermudiana through photographs principally by Walter Rutherford.1936. pp200. Bermudian Publishing Co, Hamilton. $120 - $175. View Williams R J Bermudiana. 2nd edition 1946. pp256. Revised and with new photographs. Reinehart. N Y $90 - $130. Wingate. 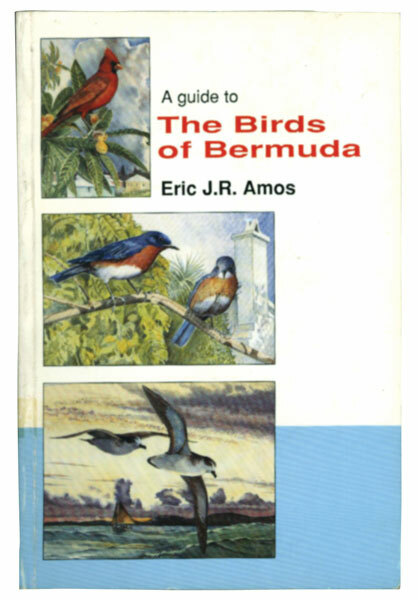 A Checklist and guide to the birds, mammals, reptiles and amphibians of Bermuda. 1959. pp34. Bermuda Audubon Society. Hamilton. $55. Woolcock, Peter. Early cartoon books. 1988 onwards. pp57. This excellent political cartoonist unfortunately is no longer obtainable in book form except in catalogues like this. Aardvark, Bermuda. $25 - $45 each. Young and Helweg-Larsen. Caribbean Cocktail.1955. pp208. 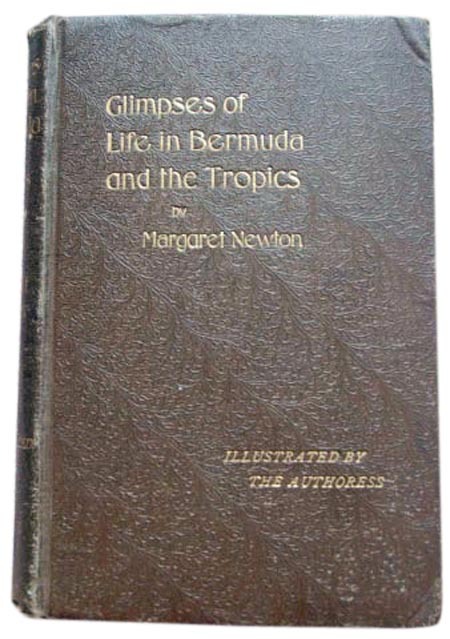 A Bermuda and West Indies travel book. $70. View Zuill W E S Bermuda Journey. 1946. A Leisurely Guide Book (with illustrations). pp426. Coward-McCann. N Y All editions $80 - $100. Zuill W E S Bermuda Sampler.1815-1850. Fascinating extracts from all sorts of sources about the period. Well illustrated. 1937. pp456. BBS Hamilton. $175. View Zuill W E S A Guide to the Resident and Seasonal Birds of the Bermudas.1933. pp55. With coloured illustrations. BBS Hamilton. $160. View Zuill W E S. Trees and Plants of the Bermudas.A Short Guide. 1933. pp79. 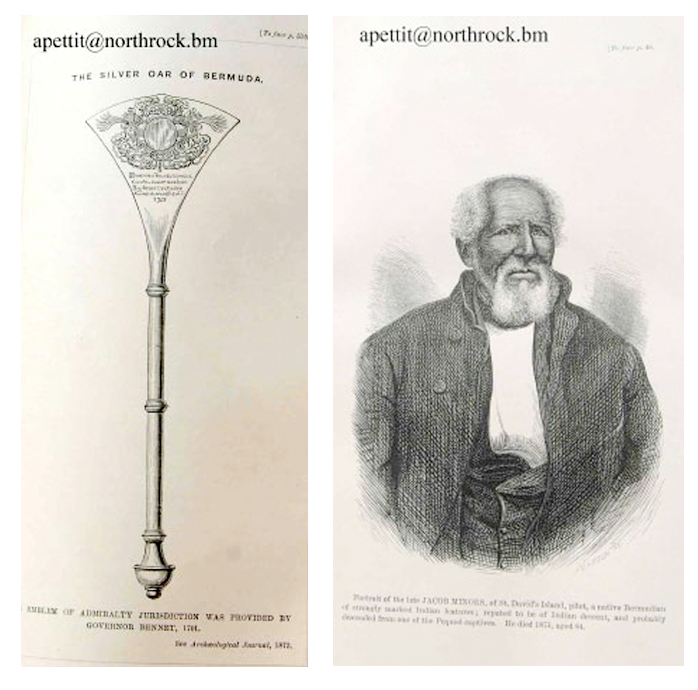 Illustrated by the photographs of Rutherford. This book is a companion to the previous one. $120. Mrs W E S Zuill and Mrs Barbara Burland. (compilers). Old Bermuda Recipes.1966. pp58. Under the auspices of the Bermuda Garden Club. $80. Zuill W S The Story of Bermuda and her People. Soft back. pp240. MacMillan. London. All editions $45 - $80.